Online Plant Guide - Ilex coriacea . / Bay Gallberrry. Female flowers here, while male flowers on separate plants. Scientific Name: Ilex coriacea . 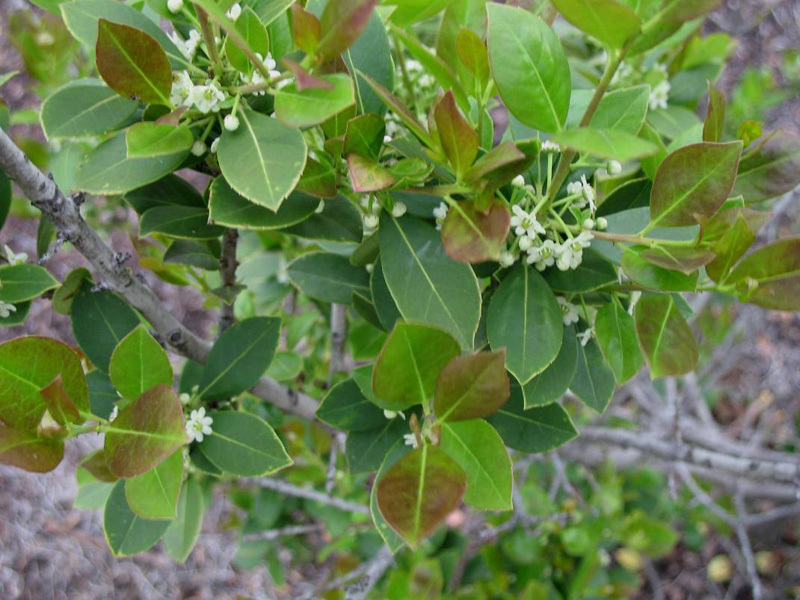 Comments: A large, native shrub or small tree that can grow up to 25+ feet in height, but generally one-half that. Grows well in low wet areas such as swamps, bays, river flood plains, and close to streams and ponds. It does not grow in water-logged soils.